SOLD - Front Lit - In this piece I was most intrigued by the light striking and then falling off transitioning quickly. I really love this painting. 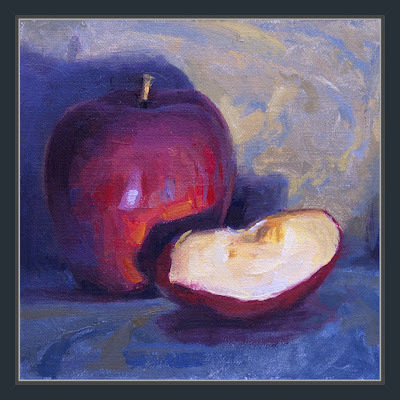 The dramatic play of light and color make the simple apple forms into a compelling and interesting subject. I can't wait to see the next one! I liked going through your blog and seeing your progress. Thanks for sharing! This is a favorite of mine... lots of drama.